An editorial by Dr. Samina Raja, a principal investigator of Growing Food Connections, was recently featured in The Conversation. The discussion features the work of planners in addressing food systems and highlights why all cities should have a Department of Food. Read the article below or see the original article here. In the United States, we live in a nation where hunger and obesity go hand in hand. More than 17 million US households struggle to put food on the table, and when they do, it’s often high in fat and sugar because healthy options are scarce in low-income neighborhoods. These problems are well known. They’re frequently in the news. But what’s missing from the conversation is a discussion of how they came to be. The dearth of grocery stores and other sources of fresh food in underserved communities is not a product of happenstance, but the result, in part, of poor urban and regional planning. More than 38,000 local governments — counties, cities, villages, towns and townships — exist in the United States, and their operations impact the lives of more than 319 million Americans on a daily basis. These entities are entrusted with a broad set of responsibilities: They ensure public safety; they regulate economic activity; they have departments that deliver water, education, transportation, green space (parks) and social services. Yet, local governments pay little systemic attention to the one resource most essential for all Americans’ well-being: food. 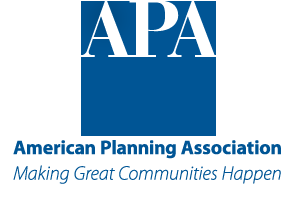 In a 2014 survey of planners and other elected officials who are members of the American Planning Association, the University at Buffalo and partners found abysmally low levels of engagement by local governments in the realm of food. Just 13 percent of 1,169 respondents working for these governments named food systems planning as a significant priority in their work. A full 50 percent said their engagement was non-existent or minimal. This disturbing lapse contributes to a bevy of food-related problems, from disparities in food access among consumers to financial struggles among farmers, many of whom hold two jobs to make ends meet. It doesn’t have to be that way. Last month, a project launched to help eight communities across the US to connect family farmers to consumers who lack access to healthy food. Called Growing Food Connections, it’s a federally funded project I lead along with the American Farmland Trust and other partners. The targeted regions will be urban and rural, ranging from the Kansas City metro area to two sparsely populated areas of New Mexico. Local governments will play an important role in each. The project will do research around how local governments can remove public policy barriers to locally grown food and foster connections between family farmers and underserved community residents. We plan to provide policy recommendations to improve local food security by encouraging sustainable and economically viable food production. But making improvements in eight forward-thinking communities is not enough. Across the country, we need to incorporate food into the way we plan and organize the places we live. For this, we need officials in local government who are dedicated full-time to addressing the problem. That’s because the food system is complicated: It includes physical components such as land for farming; facilities for storage, butchering and retail; and transportation networks for distributing food. It also includes natural resources such as soil, water, sunshine and pollinators, and human resources like entrepreneurs and a trained workforce of farmers, farmworkers, butchers, processors and chefs. Today, in many communities, this infrastructure is in a state of disrepair. Zoning codes that dictate where food businesses can locate are often incredibly antiquated, some dating back to the 1950s. Some prohibit people from growing food on their own front yards. Others ban farmers’ markets in residential neighborhoods, making it difficult for people without cars to reach healthy food destinations. Many additional problems persist. So how would food systems planners in local government address these concerns? They would perform a pulse-taking function, tracking problems as well as missed opportunities. They would ensure that land use and transportation plans protect assets such as farmland. They would help bring amenities like farmers’ markets and community gardens to neighborhoods that need them. They would rewrite outdated zoning codes. They would assist in creating stronger regional supply chains of farmers, processors, distributors and consumers. Baltimore, Maryland and Seattle, Washington are cities where thoughtful planning is already taking place. Both have staff focused on developing purposeful food policy. Both also have food policy councils — advisory groups of committed, volunteer residents — who advocate for improvements. This allocation of resources has paid dividends. In Seattle, the city runs P-Patch, one of the largest municipal community gardening programs in the country. The city provides staff and financial support for the project, which enabled residents to grow food and donate 29,000 pounds of fresh fruits and vegetables to food banks and programs in 2014. Recognizing the value, Seattle’s voters included US$2 million in a 2008 Parks and Green Spaces Levy for P-Patch community garden development, and the city’s comprehensive plan encourages community gardens as a land use. One great irony is that local government agencies, such as departments of planning and economic development, have continually shaped communities’ food infrastructure, albeit with little awareness that they are doing so. Local governments create land use plans that place prime farmland in the path of development. They regulate access to water for food growers. They tax food businesses. They enforce outdated zoning codes. And they do it all with little or no systemic understanding of their communities’ food infrastructure — and certainly with no departments of food. These modern failures of local planning have precedent in the City Beautiful movement of the early 1900s. During that era, planners designed cities for grandeur rather than quotidian functions such as growing and harvesting food. A preoccupation with auto-centric development further degraded food infrastructure from the mid-century onwards. In 1965, for example, the city of Buffalo, New York sold the century-old Washington Market, where vendors hawked poultry, dairy, fruits and vegetables from 400 stalls, to a bank. The buyer razed the market to create a parking lot that remains there today. Fortunately for Buffalo, city officials and planners are now supporting grassroots efforts to rebuild food infrastructure through innovative public policy.